Over the past few years, the Klamath-Trinity Joint Unified School District (KTJUSD) has become increasingly less transparent, less open to community input, and less accountable to parents, tribes, and community members. As the Executive Director of the Hoopa Tribal Education Association, I hear from frustrated parents and students almost every day. The wide range of alarming concerns tribal members, community members, and even hard-working KTJUSD staff and their children have about the District are often painful to hear. Many feel that KTJUSD treats our children as “throw-away kids,” with punitive processes or apathetic and even dismissive attitudes towards the culturally responsive and trauma-informed education that our kids deserve. 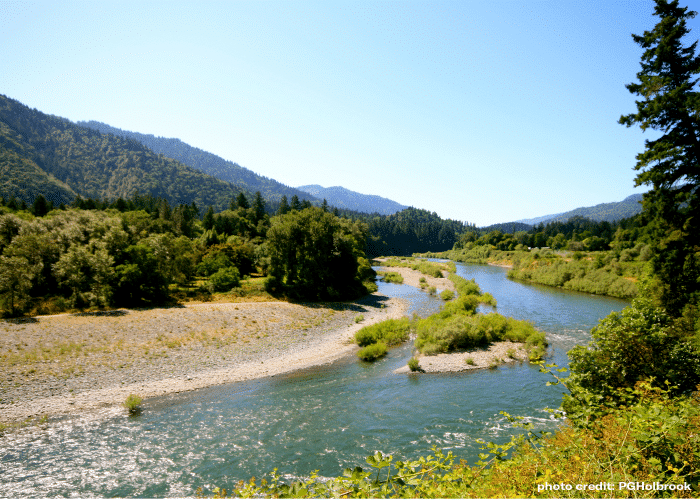 KTJUSD gets its name from the Klamath and Trinity Rivers, which connect communities in the District. We are in a remote area, nestled among the Redwoods of Humboldt County over an hour from the coast. District schools are located on the Hoopa Valley, Yurok, and Karuk Indian Reservations. The Na:tinixwe, Hupa people, have lived here since time immemorial. The history of schooling in our region has been one of colonization, violence, and imposition. In 1893, the Bureau of Indian Affairs established the Hoopa Valley Indian School, with the mission of teaching Na:tinixwe children how to be ‘civilized’ – to kill off all that made them Hupa. As federal Indian policy shifted away from an outright assimilationist agenda for Native American peoples, the boarding school was converted into a day school in 1932, making way for what are now public schools in the KTJUSD. But nearly 100 years later, our struggle to have a voice in our children’s education continues. We have many questions about how the District is using limited funds to meet the basic educational needs of our children. And, we have a lot of ideas about how to serve and support our youth. In order to address the unique needs of our community and its students, and to provide them with the best education possible in our ancestral territories, we must work together, recognizing the strengths, wisdom, and expertise that all members of our community have to offer. This kind of collaboration between school districts and their communities isn’t just something we hope for —it’s required under the law. California’s Local Control Funding Formula (LCFF) funds schools by focusing on educational equity. School districts receive additional funds for disadvantaged and high-need students, and by law must use these funds to further the education and well-being of high-need students. As part of this law, school districts are required to write a yearly Local Control Accountability Plan (LCAP) that outlines goals, describes steps to reach them, and offers transparency in spending. The process of writing this plan requires KTJUSD to seek input from students, parents, teachers, and tribal members through an open process. When we expressed our concerns to the District last summer through a letter signed by the Chairmen of the Yurok and the Hoopa Valley Tribes and the ACLU of California, District leadership refused to take any of our input seriously. Facing stiff resistance from KTJUSD to answering even the most basic questions, we were forced to take the matter to the California Department of Education (CDE). In November, CDE ruled that the District’s LCAP does not meet basic legal standards. The state regulators found that KTJUSD failed to meaningfully describe the educational services it offers our high-need students, failed to explain how it used the majority of the $2.4 million in specific funding for high-need students, and failed to account for a significant portion of these special funds. In addition to these troubling and serious legal shortcomings, the State emphasized the importance of stakeholder engagement – the District must share key information about spending with the community. Families, community members, and Tribes must have a voice in this process. Of the 1,000 students served by KTJUSD, over 85% are Native American, from the Hoopa and other area tribes. Most KTJUSD students attend schools on the Hoopa Valley Indian Reservation. The Hoopa Valley Tribe has worked for many years to incorporate our language, culture, and traditions into the school district – these teachings not only address intergenerational trauma left by the boarding school system, but research clearly shows that native students succeed when their culture is woven into their education. The KTJUSD School Board will vote to approve a revised LCAP on February 12, 2019. Despite our many requests to participate, as is required under the LCFF, the District carried out this process behind closed doors, with no meaningful input from the community or tribes. From what we’ve seen of this revision, the District still has not corrected the majority of the legal problems CDE identified. We hope to work with the District to create a plan that will best serve all our students, and especially those with the greatest needs. The first step is for the District to genuinely consult with families and students about those needs. These are our kids – our tribal citizens and future leaders of our nations, who will continue to protect our resources, speak our languages, practice our traditions, and propel our ways of life for generations to come. We have one simple ask for District leadership and administration: create a transparent process through which the community and Tribes can voice our concerns and contribute our ideas, so that together we can make the dreams we share for our children a reality. Erika Eva Tracy is the Executive Director at the Hoopa Tribal Education Association.